ISTANBUL – This year’s G20 summit in Turkey will have vital importance for the country’s image, Turkey’s deputy prime minister said on Wednesday. 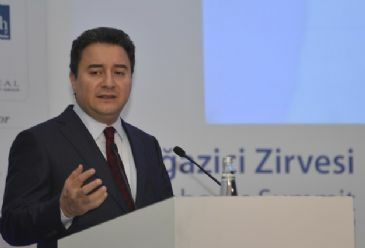 “The way that international media organizations have approached Turkey for the last one or two years has not been positive,” said Deputy Prime Minister in charge of economy Ali Babacan, speaking in Istanbul. Babacan was addressing a meeting of the “Think-20,” a think-tank meeting led by TEPAV, the Economic Policy Research Foundation of Turkey. The T20 event is being held after a two-day meeting of G20 finance ministers and central bank governors held in Istanbul. The two-day summit was held amid major doubts over sluggish global growth, more volatile currencies and deflationary pressures on some advanced economies. Babacan said that a group representing 85 percent of the world’s economy had come to Istanbul. “Finance ministers will come together [in Turkey] four times in this year,” Babacan said, adding that energy ministers will also meet here collectively for the first time under G20 meetings. “Our main expectation from T20 is to produce new ideas, new politics and new projects,” he said. T20 was formed in 2012 in Mexico just before the Mexican presidency of the G20. Babacan said that of importance to Turkey’s G20 presidency was its desire to bring forward underrepresented “low-income developing countries’” agendas to G20 meetings. The G20 group has made more than 1,000 commitments as part of investment strategies to boost global GDP by 2 percent and to tackle unemployment.